My new obsession: The Argentine dulce de leche treat, the Alfajor. I just cannot get enough of it every time I see one. I am going to admit that there are just not enough places for authentic, homemade pastries in the District, and it is so nice to finally see an emerging example of one. This morsel of caramel, coconut goodness is historically an Arabic treat that is now commonly found in Medina Sedonia in Spain which are mostly seen as a cylinder filled with almonds, honey and cinnamon. 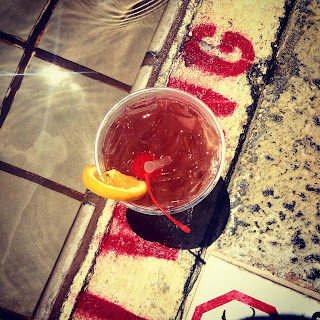 Eventually this treat travelled the Atlantic ocean and over to Latin and South America where its descendant was born. 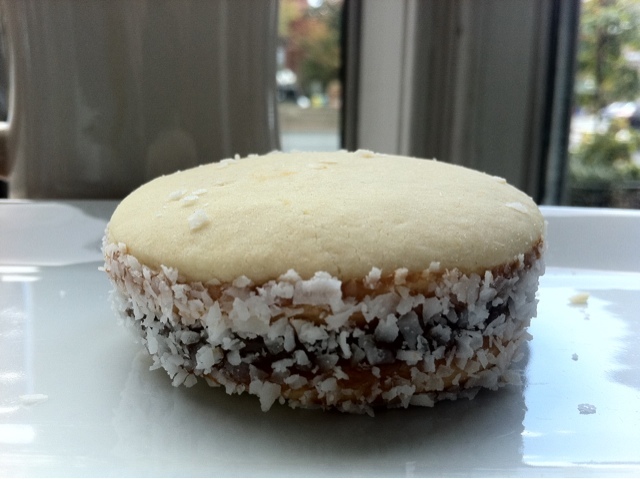 Dolcezza is the home to this Alfajor above at Dupont Circle. Mostly known for its coffee drinks and gelato, Dolcezza also creates irresistible treats such as these to ensure your coffee is not served alone.